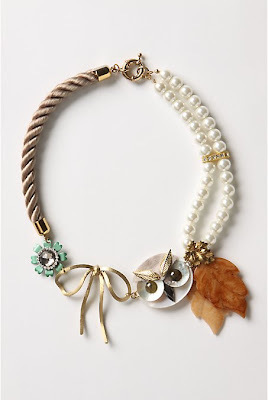 How cute is this necklace! The perfect balance of feminism and edgy-ness. Who wouldn't want this... I do! Love it! This photo is from She's Got It All! Dress up any dining room fixture with hanging ornaments! Not just for the Christmas season... using neutral colored ornaments looks great year round too! Another fun idea is to buy plain ball ornaments and dress them up with ribbon, glitter, or vinyl! 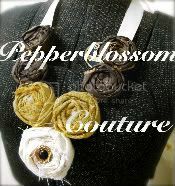 pepperblossom decor can custom decorate your ornaments to dress up any dining room! What to do with all the wedding announcements of my friends and family that I love oh so much and would never want to throw in the trash! So with some adorable magnets and all of my gorgeous friends it has become quite the conversation piece in our home! Its just the right size and made with love. Not only do I love the crackle paint effect but the frame is Darling and the barnyard red goes perfect with the rest of the room! Best of all this piece which would normally cost around $200 and up in any other boutique, but you can find it at pepperblossom decor for HALF THAT PRICE!! Yes I know, amazing! Well anyway hope you enjoyed my obsession of the week! I love it and I hope you do too!!! So Frickin cute! I want one! Glad to see we made the cut... you saved ours! Yay! sooo adorable. and hey, i see a picture of brooke on that board hehe.